Professional learning junkie or just curious? Is one better than the other ? I don’t think so, but I would not want to limit myself to one type. The mixture provides a blend of experiences that I value. What Professional Learning Opportunities do you value ? Why ? The new school year has begun with a rush. 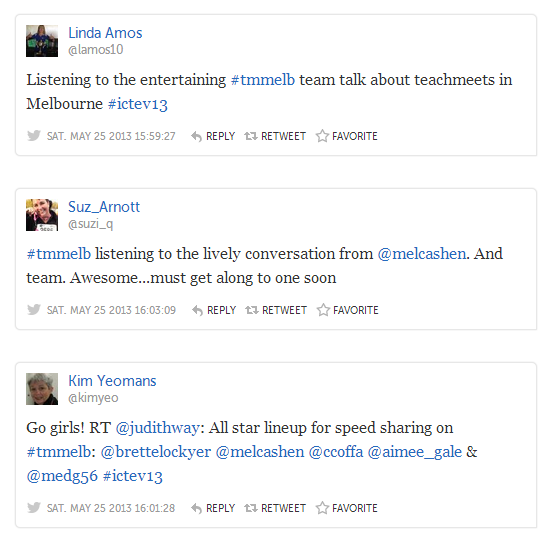 It was nice to gather with members of my Professional learning network and share the first Teachmeet Melbourne event. 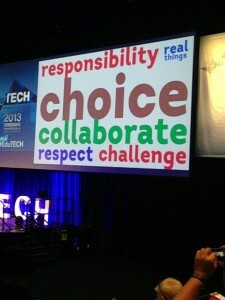 Having just returned from two days of educational stimulation and exhaustion at EduTech conference in Brisbane, I wonder; does anyone go to conferences like these seeking answers? Do they arrive bright-eyed at the opening keynotes in anticipation of getting answers to all or even some of their school problems? Are they seeking a clear indication and plan for a future direction? I hope not, as I believe they would come away disappointed. It would be like bobbing for apples in a swimming pool. Other bloggers have described the content of the sessions in great detail and reflected on how this will impact on their teaching, Kathy Turley and Simon McKenzie to name just two. My note taking was too poor to produce such informative summaries for any readers here. I was letting others on Twitter synthesise the main points and summarise the buzz (thanks to all #edutech contributors and summarised excellently here by Alex Semmens!). The message is that teachers have to change their views of their role. I know we have been hearing “No sage on the stage” for a long time but it is getting louder and louder and more important. Technology is not replacing us, but it should be making us change our tack on our craft. Flexibility seems to be one of the most important features of both schools and the teachers working in them. Flexible access to devices, flexible working spaces, flexible timetables, flexible lesson structures, flexible mindsets amongst administrators, teachers and students. Daniel Pink spoke of the power of ‘un-commissioned work’ – this does not happen in a classroom where time pressures are extreme. There is a strong push to change, however the reality of the assessment system we send our students towards is a large disincentive for many and excuse for others. The famous Dewey quote; “If we teach today as we taught yesterday, we rob our children of tomorrow’, could perhaps be re-considered; “If we assess today as we assessed yesterday, we rob our children of tomorrow”. What can we do about this major issue? Students often don’t get enough credit – many presenters had examples of how amazing things can occur when we loosen the reins, this probably applies to teachers too! Overall, I was privileged to be entertained, informed and challenged by the ideas of Dan Pink, Sal Khan, Stephen Heppell, Ewan McIntosh, Alan November, Stephen Harris and Sir Ken Robinson. I was just as excited to hear the story of Star of the Sea School Cleveland and Alice Leung and to chat amongst my colleagues about how any of this can translate into change in our varied workplaces. In this blogpost, Ewan McIntosh summarises the theory of Guy Claxton; The magnificent eight qualities of powerful learners and he expanded on that in his presentation. The words viewed here might seem like catch-cries without the context but the message was strong. The ‘big’ conference experience has also left me appreciating more and more the joys I experience at the far more intimate professional learning gatherings hosted by Teachmeet Melbourne. There is so much wisdom in every school community, every local neighbourhood and definitely at every TeachMeet. It is no surprise that we see responsibility, real change, choice, collaboration, respect and challenges at every event. Anyone who has read this blog before will know that I am passionate about the Teachmeet movement. My involvement has opened many doors to me and one of the most significant things has been the people I have met. Earlier this year, at a de-brief session after a Teachmeet, one member (OK it was Mel) suggested that we could present about TM’s at the upcoming ICTEV conference. Everyone thought it was a great idea and as is customary in any group – one person was appointed, duly delegated, or dobbed in to the task of submitting the application (OK it was Mel again). Well it must have been done well as it was accepted and the proposal became a reality – we were set to present, but that was in May, that was ages away. A ‘planning session’ was allocated but the beautiful Japanese cuisine got in the way of the ‘planned’ planning, barring a few careful notes on a napkin. (Thanks Mel) The only real decision that night was that it should be a joint presentation. Teachmeets are after all, a shared, social event, so the presentation would reflect this. So, it came down to a few weeks before the event and opportunities for a group planning session were getting slim. A face to face meeting was getting difficult to manage. Emails were flying to and fro. After all, these are busy educators and women, there are lessons to plan, reports to write, essays to complete etc. So what do any innovative, well rounded and resourced networked educators do ? They ‘hang-out’. Monday night, a fortnight before the conference, from lounge rooms, kitchen tables and bedrooms across suburban Melbourne a ‘virtual’ gathering occurred. Google Hangout proved a perfect arena for this chat and planning session. After the bestowing of fake moustaches, crowns and tiaras (a fun feature of hangouts – now I am wishing I had some screenshots to share!) we were down to the important business, working on many screens switching between a shared Google Presentation. A fine oiled machine soon had a set of ideas, designed and ordered. A plan was constructed! Elements were allocated to each member and that was that. We all attended to our allocated tasks and trusted that in the good old show business fashion, it would be alright on the night ! 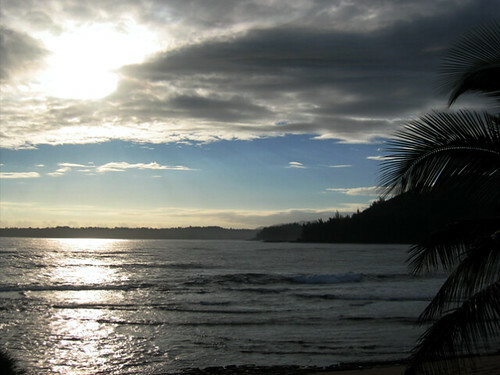 (or afternoon as was the case). I am pleased to report that it went very well. We stayed within our allocated 7 minute speed sharing limit, which is a practiced skill for any TeachMeet attendee. We shared our message and passion. It was a delight to be part of this small piece of collaboration. Thanks to all involved. I wonder what we can do next ? Come along to a TeachMeet event and become part of a wonderful group of people who want to share, question and challenge. Our presentation – not the same without Brette’s questioning techniques!